I look forward to the Oscars every year. I know they can be long and boring to some, but that's definitely not the case in my book. I love watching award shows that pay tribute to the silver screen and the Oscars is the KING of movie award shows. 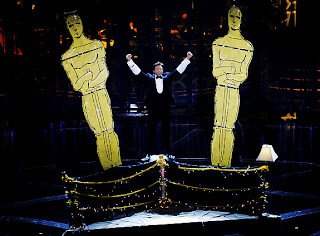 About 10 years ago I started throwing Oscar parties. I would have a red carpet laid out for my guests to strut their sexiness on. I would have ballots for them to fill out and a prize for the one who got the most correct. As of late I have strongly encouraged my guests to dress up in either red carpet glam, or dress up as a character from one of the many movies that are nominated that year. T his year I dressed up as the nurse Joker, which was really fun. Some of my guests dressed up as Bruce Wayne/Batman, Rachel Dawes, the wrestler and Wall-E. The Oscar Winner this year for getting the most correct on their ballot was Jason and the best costume went to Rosie for Wall-E - LOVED IT! 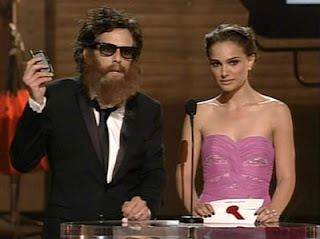 I will say I was surprised by the academy's pick for host this year. I would have never put him in that role, but wow! I feel Hugh Jackman delivered. He was relaxed, fun and surprising - I didn't know he was such a great singer. Let's just say I wouldn't mind him coming back another year. It's not much of a surprise to know Slumdog Millionaire emerged victoriously taking home 8 golden Oscars. While the other contenders were truly worthy, they didn't stand out as much as Danny Boyle's effort. It already managed to dominate the Golden Globes, SAG and BAFTA. This was to be expected and I am very happy with the outcome. I loved how they invited everyone up on stage to accept the awards - it was fun to see the little kids from the movie as well as everyone all together. If you have not seen this movie yet stop what you're doing and go see it immediately if not sooner. 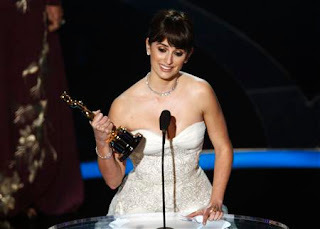 Kate Winlest & Sean Penn (lead) Penelope Cruz & the late Heath Ledger (supporting) were all very deserving of this award. It was nice to see Kate finally win after all these years and it was touching to see Heath's family except his award on his behave. I was happy to see them ALL win. The Oscars do their best to surprise us each year. some of my favorite moments of the night. with a song and a dance number. Highly entertaining. I loved it! Ben Stiller poked fun at Joaquin Phoenix while presenting the award for Best Cinematography. The actor took to the stage with a scruffy overgrown beard, sunglasses and a suit as he mimicked Phoenix's recent bizarre appearance on the David Letterman show. It was so unexpected too and I laughed soooooooo hard. Good times! 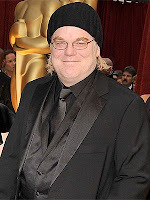 The Oscars wouldn't be the Oscars without fashion. This year had some major Do's & Dont's. Here are some of MY picks for Best & Worst dressed. 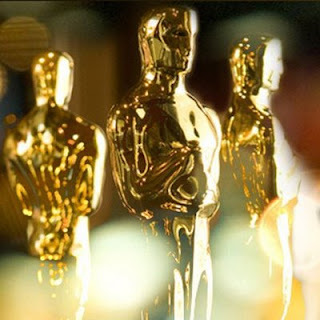 You are so great at doing this and while i wasn't all that into the oscars this year it is fun to hear your take on it. keep doing this- I really think you could go somewhere with this. Didn't Jason win last year too? I'm so sad I missed it. My favorite dress was Sarah Jessica Parker's. You liked Jackman? I heard he was awful, but I haven't seen any clips or anything so I have no opinion yet. I wish the Oscars were available online! Thank you for your kind comment. Feel free to link my blog to yours. That would be great, thanks.